Well it's finally December 31st 2012! Another 12 hours and 2013 will be in sight and the champagne will be flowing. 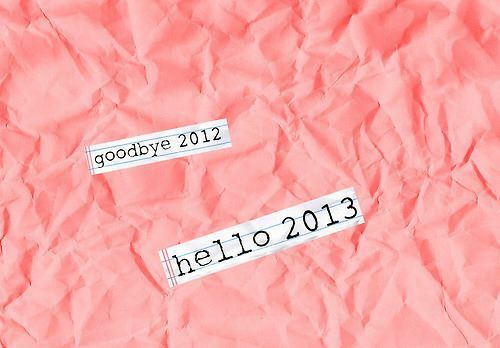 I don't know about you lovely ladies but I cannot wait to have a fresh start as 2012 hasn't been best to me. At this time of year it's tradition to have a few New Years Resolutions which we try to stick to. Some more successful than others I must admit! I thought I'd share a few of mine with you all and hopefully (fingers crossed) I can sit back this time next year to see I have achieved them ... at the very least I hope to see I at least tried. ♥ Loose 2 stone - Ah, a good old resolution the majority of girls will try. I lost a stone throughout 2012 throughout Weight Watchers so I'm hoping to work twice as hard to shift another two stone. I'm doing this through Weight Watchers now I'm a gold member (ooh get me) and some good old exercise. ♥ Find a constructive hobby - I don't think it's acceptable to class shopping as a hobby, if it were I'd be a professional. I was thinking about starting riding again, but what I really want to do is draw. I love drawing, anything that pops into my head I like to jot down. ♥ Get the grades I deserve - I'm hoping to start university next September and I need high grades to do the course I'm hoping to do. At this moment in time I'm lucky enough to have them but I'm determined to try harder to secure my place at London Goldsmith University to study Journalism. ♥ Clear out my wardrobes and de-clutter my things - I have a ridiculous amount of things which either don't fit me anymore or still have tags on. I want to throw things out or give things to my boyfriends little sister to make space for a brand new wardrobe. ♥ Work more hours - Luckily I have a very busy work calender next year. Working at Wembley Stadium of course has its perks but gosh it's exhausting. I can't stand FA Cup Final Day, or month. I want to work extra hours for the likes of Robbie Williams and Bruce Springsteen to get some extra cash to save up with! ♥ Take photos - I want to make a big scrapbook full of photos to look back on at the end of next year. Anything that has relevance I'll be taking photos of and I can't wait to put them altogether! ♥ Have an amazing Christmas holiday in Australia - Not exactly a New Years resolution, but I'm off to Australia next Winter to spend an entire month with my family. I can't wait to see my brothers, sisters, aunties, uncles and all the rest. Being half Australian I'm determined to have a BBQ on Christmas Day and decorate a palm tree. It will be such an experience as my boyfriend is coming along too. What's everyone's plans for tonight? I'm off to a club in Central London where I'm hoping to bring the New Year in with style. I'm yet to put my fake tan on and rollers in so I'm a tad behind schedule. Getting ready for a night out is a military operation! I'll be taking loads of pictures to share with you once my hangover has subsided but until then I hope you all had a great 2012 and that you're all looking forward to 2013. I'm excited to see everyone's outfit posts and hear what you all got up to! Happy New Year lovely :) Wishing you lots of health and happiness! I'm with you! I need to find a legit hobby other than shopping! 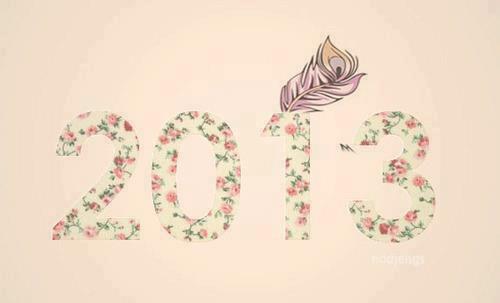 Hope you have a fab 2013! !